Soft, chewy, and moist, these Samoas granola bar from Averie Cooks are a gluten-free treat. Shredded coconut, oats, cinnamon and vanilla are mixed with corn syrup and left to set in a pan. Before cutting, semi-sweet chocolate is drizzled over the top. When shopping for this recipe, make sure the oats are certified gluten-free. 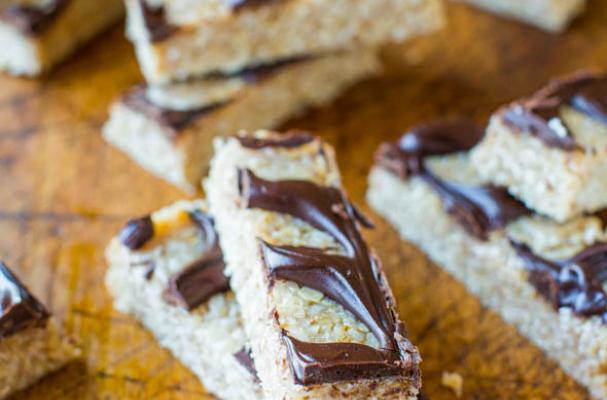 These no-bake granola bars are great for breakfast or afternoon snack. For full recipe instructions, click here.